For those of discerning taste, Amsterdam's finest hotels accommodate epicures in style and with elegance. Rekindle your love life with a trip to a romantic hotel in Amsterdam. A weekend away with just the two of you focusing on each other and nothing else. Amsterdam is home to some of the best hotels in The Netherlands. Many choices for luxury romantic hotels on the waterfront, the canals and in the heart of the city center. Over the last few years there were many new hotel openings such as the design hotels Andaz Amsterdam Prinsengracht and Sir Albert. Both luxury hotels with all the amenities to guarantee a romantic weekend. With hotels this nice it's hard to force yourself to go out and enjoy Amsterdam too. 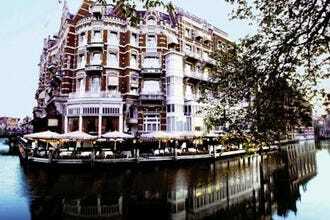 Most romantic hotels in Amsterdam are located in the city center with views on the canals. Housed in beautiful old monumental canal houses which are so characteristic for Amsterdam. These hotels like the Pullitzer, The Dylan and The Grand are classic and it's all about the service. For the ultimate romantic weekend it's nice to book the Chef's table at the hotel restaurant and to start the evening with cocktails at the bar. Most of the romantic hotels also offer spa and wellness facilities. Order breakfast as room service and relax with your love at the spa after that or enjoy a romantic walk alongside the canals. The Andaz Amsterdam Prinsengracht is open little over a year now and one of the most luxurious hotels in Amsterdam. Located on the canals of the beautiful Prinsengracht this hotel is very close to all the main attractions and shopping districts in Amsterdam. The Bluespoon Bar serves state-of-the-art cocktails and tyical Dutch bites made from local produce. The Bluespoon Restaurant also works with local produce where possible and has Dutch food with a twist on the menu. Make sure to reserve the table closest to the kitchen to see the Chef's magical cooking. The interior and rooms are designed by the Dutch icon designer Marcel Wanders. The 122 rooms are luxury and and offer amenities such as complimentary snacks and non-alcoholic drinks from the mini-bar, local phone calls and Wi-Fi. The DoubleTree by Hilton Amsterdam Centraal Station provides one of the best views of the city. Make your way to the Sky Lounge and gaze over Amsterdam; from the historic buildings to the busy harbor, the view is breathtaking. Ready to head out and explore? The location of the hotel, right next to Centraal Station, makes it very easy to access the city and see all the sights. At the end of the day, enjoy complimentary Wi-Fi and the Apple computers in every room. In the morning, it's easy to wake up with floor-to-ceiling windows and a beautiful view. Plus, you'll love the warm signature chocolate chip cookie when you check out. The Seven One Seven hotel, positioned along the Prinsengracht canal, is a stately mansion that offers only nine exquisite rooms and suites. Each room is distinctly decorated; antique furniture sits naturally in rooms adorned with vivid walls and classical art. The Seven One Seven has an 'all-in' pricing philosophy, the room rate includes breakfast, afternoon tea, drinks and house wines. Pamper yourself with in-room massages or enjoy a smoke in the hotel's library. The Seven One Seven hotel is deservingly exclusive. It offers the finest, a temporary home with first class ambiance and facilities. The Seven One Seven is a perfect choice for a romantic getaway! One of the latest additions to the Amsterdam hotel scene is the beautiful boutique hotel, Sir Albert. 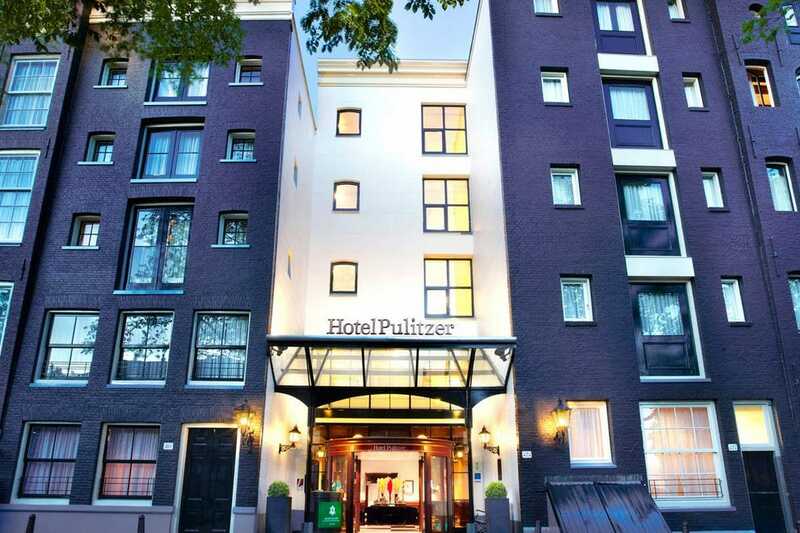 The hotel is located in the trendy neighborhood De Pijp, is a top-notch experience. With elegant furnishings, excellent amenities and close proximity to many attractions such as the Rijksmuseum. Sir Albert is the perfect hotel for a romantic sleepover in Amsterdam. A home away from home. The building is constructed in 1895 and was a former diamond factory. The high ceilings and big windows are characteristic of its previous use. The hotel offers 90 rooms and suites, each furnished with a flat screen LED Satellite television, iPod docking station, free WiFi, coffee machine and private bar. Breakfast is served at the Izakaya restaurant. 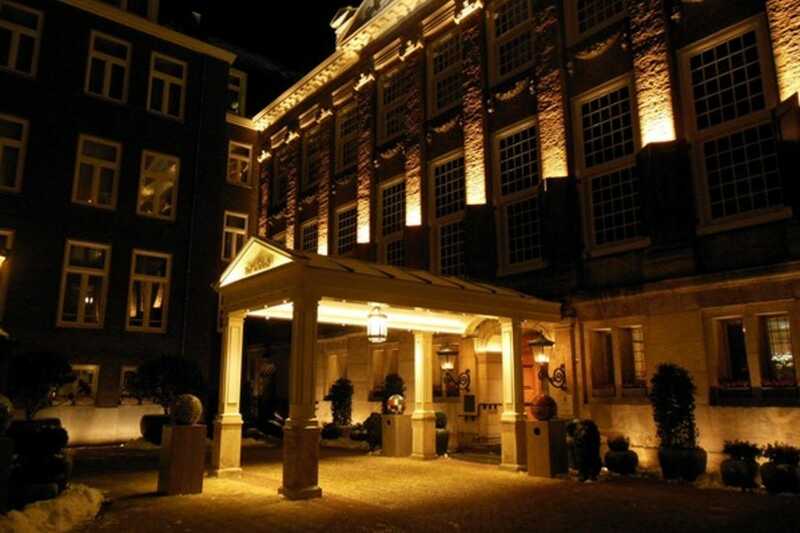 Explore the other "Royal Palace of Amsterdam" by staying at the five star Hotel De L'Europe. 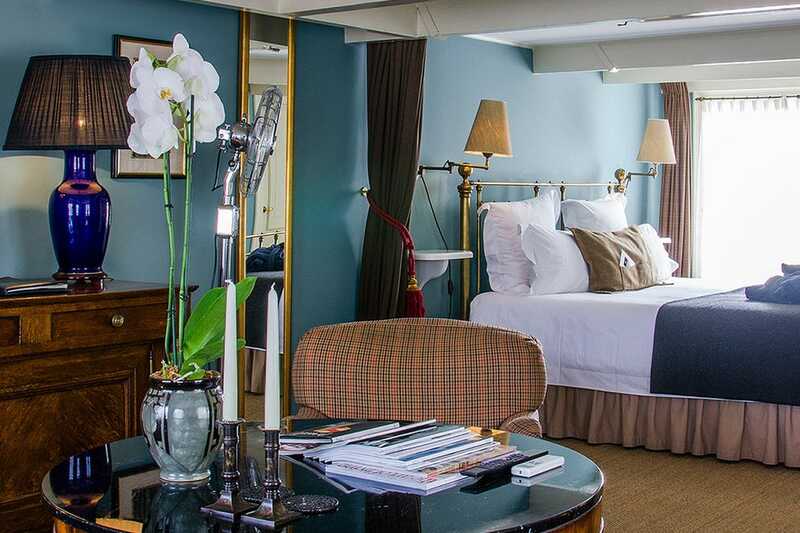 Situated on the Amstel River, right in Amsterdam's city centre, the hotel boasts elegant d?--cor, gorgeous views, decadent dining options and maximum comfort. 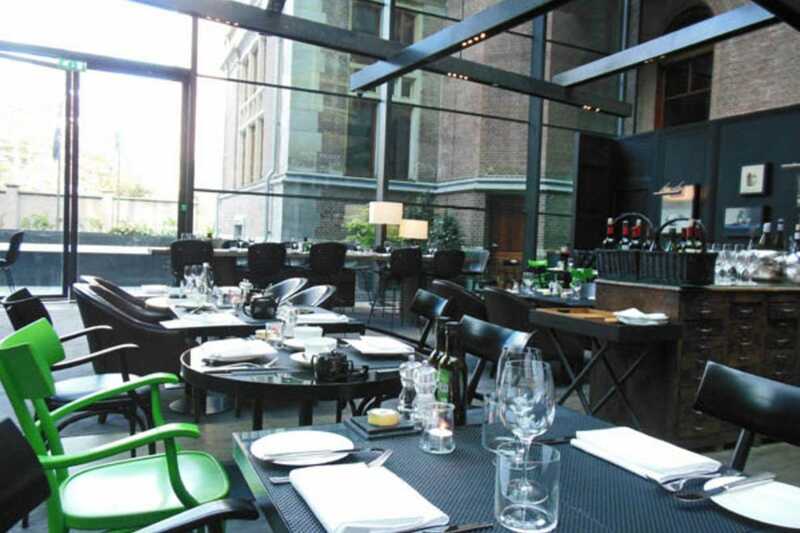 Have a drink of your choice on the terrace or admire the private collection of Alfred "Freddy" Heineken in the hotel. Make yourself at home in one of the 88 rooms and 23 suites. The rooms, darned with hardwood floors, fine linens and bold colors, make Hotel De L'Europe a top-notch place to rest and enjoy. When you're ready to sight see, you can walk to many of the attractions. From the moment you enter the lobby to the time you turn in your keys, the grandeur and elegance of the InterContinental Amstel Amsterdam Hotel will take your breath away. 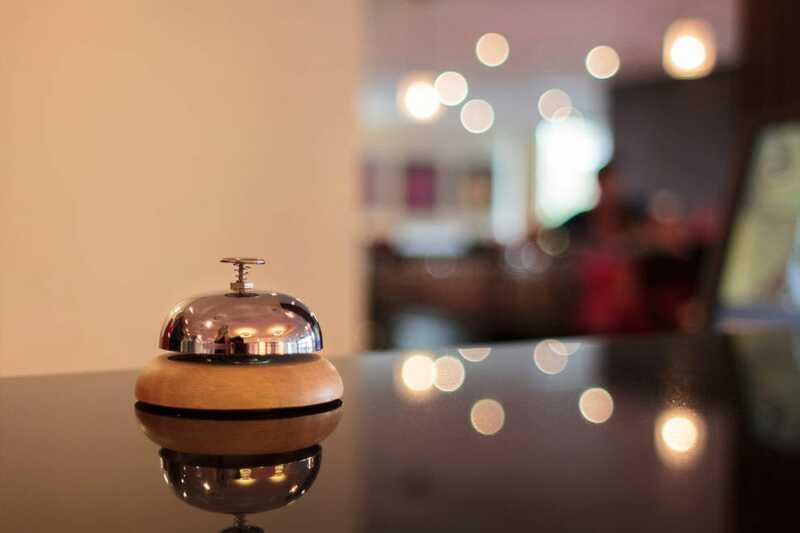 The hotel prides itself on personal service, as there are 79 rooms and 140 employees to help make the most of your experience. 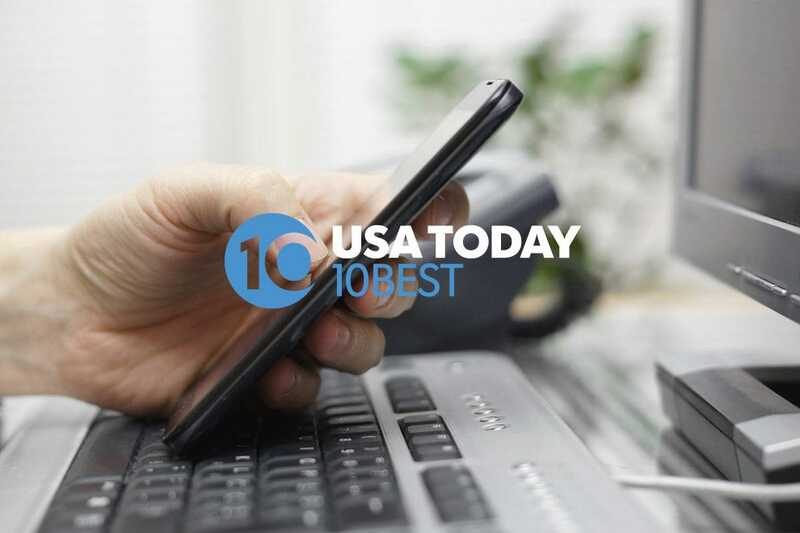 Whether you want to make a reservation for dinner or need advice on where to go and what to do, the InterContinental is here to help. Indulge yourself at one of the three restaurants, including one of which is a Michelin star restaurant. 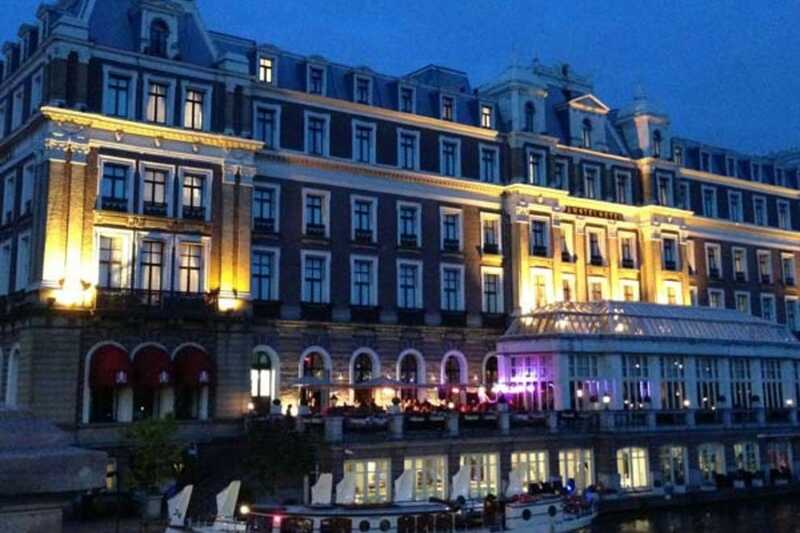 Don't forget to take time to admire the Amstel River – the hotel radiates over the river. Take a moment on the terrace or set sail on the hotel's private boat. The building in which Sofitel Legend The Grand is housed has evolved throughout the ages, from a 15th-century convent to City Hall; now it's a luxury five star hotel, offering 125 spacious rooms and 52 luxury suites. From the beginning, persons of stature and importance have frequented the building. For instance, Queen Beatrix married on this site in 1966. The hotel itself is a historic attraction. In addition, dine at the Netherland's first Raw Bar. Additionally, be sure to have a spot of tea – the hotel is said to serve the best High Tea in Amsterdam. Perhaps you simply need a relaxing weekend away. Read a novel in the courtyard or book an appointment at the spa. Tour the city in a horse-drawn carriage or cruise the canals in a classic saloon boat. Whatever you decide, Sofitel Legend The Grand will not disappoint. Situated along the Keizersgracht, comprised of several canal houses and a quaint courtyard, the Dylan is a just peek into Amsterdam's beauty and authenticity. As The Dylan believes every person is different, each room is distinct and has its own personality, too. 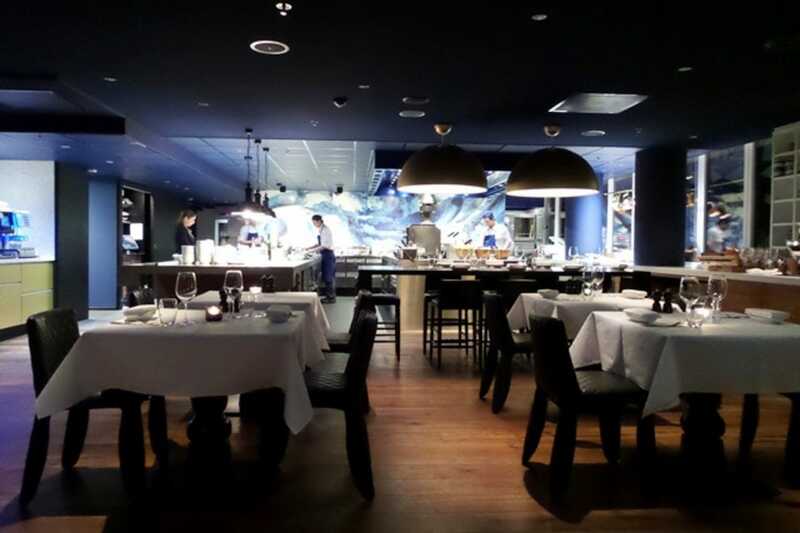 If you love French cuisine, do not miss out on Restaurant Vinkeles – it's a culinary must. Want to explore the city? See the sights from the water and set sail aboard The Dylan's very own wooden boat. After, head out to the Negen Straatjes (Nine Little Streets) to do some shopping at the boutique stores and enjoy a coffee or tea. 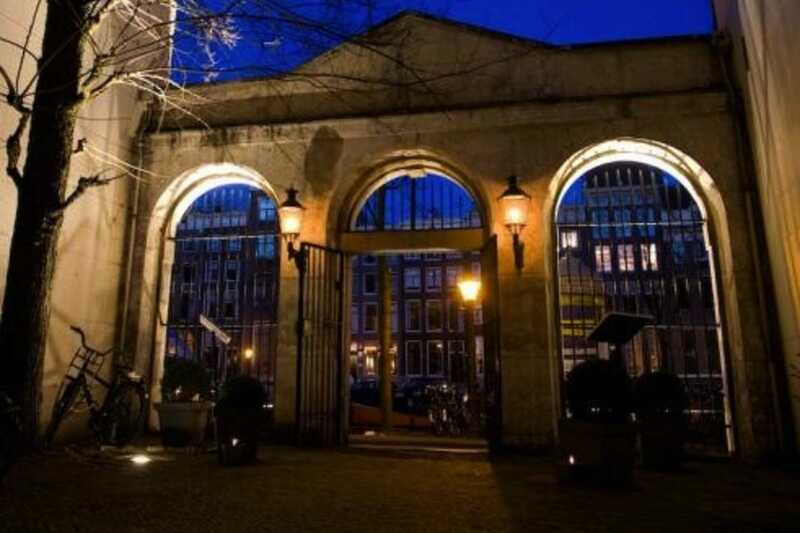 Located next to the museum and fashion districts of Amsterdam, the Conservatorium Hotel is more than just 129 rooms; it's a destination. Recharge your batteries at the world-class spa. Join a yoga class, relax in the Watsu pool, power up in the sports club and much more. Perhaps start your evening out in one of the bars. You will also find the building has a unique heritage. Over the course of its history, before the hotel opened in 2012, the building was home to both a bank and the Sweelinck Conservatorium (three musical institutes). The hotel keeps much of the original structure intact, but adds its own unique flare. The hotel's historic charm, contemporary design and luxurious amenities make the Conservatorium a total package.